2018 is full of opportunities to celebrate, including the 35th anniversary of Safe Place. Safe Place started out in 1983 in Louisville, KY as an outreach program of the YMCA Shelter House. Just three years later, at National Safe Place Network’s (NSPN) Focus 1986 conference (Formerly the Southeastern Network's (SEN) Regional Conference) in Atlanta, GA, the YMCA Shelter House presented their idea to expand the program nationally. NSPN members loved the idea and started opening Safe Place programs across the country – one of the first was in Knoxville, TN. That same year, the Department of Health and Human Services provided a small award to develop a model package for replication. 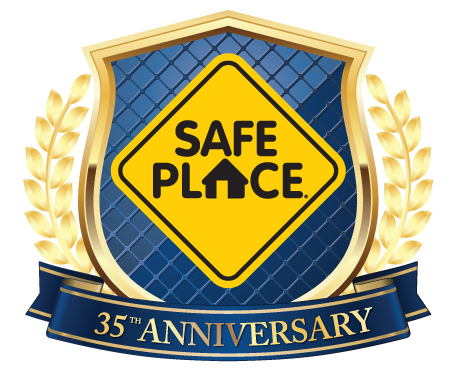 In 1988, YMCA of Greater Louisville launched a separate program called National Safe Place, developed to operate Safe Place nationally and dedicated to providing support and new initiatives for licensed agencies across the U.S.
NSPN has grown immensely, and the Safe Place team is proud to celebrate this tremendous milestone with licensed agencies who have worked together to keep youth safe for 35 years. Through these years, licensed agency staff have become family – some have started their career of serving youth through Safe Place and others have dedicated their entire career around the program. One individual shares her story of how she started a life-long career of serving youth in crisis as a Safe Place volunteer and now is a leader of a national youth service organization. These heroes have made a difference for young people through the Safe Place program for 35 years… and counting! Congratulations, licensed Safe Place agencies!